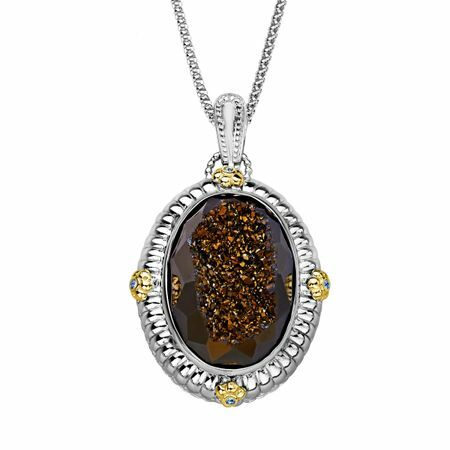 Treasure your inner goddess with this exotic and inspired Sajen pendant. A warm oval 27 ct henna druzy is framed with cool ice crystals in a ribbed setting of sterling silver, flanked by 14K gold rosettes. Piece measures 1 3/4 by 1 1/8 inches. Comes with a sterling silver 17-inch double hammered chain.